Craft beer, food and entertainment will be on tap on Saturday, July 29, during Loyola Marymount University’s second annual BeerFest. Visitors will be able to sample unlimited pours of craft beer and cider from more than 17 breweries – including more than a dozen based locally or in California – and enjoy food truck fare, live music, giveaways and games. The event supports the Lions Athletics Fund, which provides scholarships for student athletes and support for LMU’s 22 intercollegiate teams. Participating breweries confirmed so far include Scholb Premium Ales and Enegren Brewing Co. – both owned by LMU alumni – along with Avery Brewing Co., Beachwood Brewery, Black Market Brewing Co., Common Cider, El Segundo Brewing, Honest Abe, Karl Strauss, King Harbor Brewing Co., Mission Brewery, Ritual Brewing, Rob Rubens Distilling & Brewing, Sierra Nevada Brewing, Stone Brewing, Strand Brewing and Three Weavers. LMU BeerFest runs from 1-4 p.m. at Hannon Field on LMU’s Westchester campus, 1 LMU Drive, Los Angeles, California, 90045. VIP access starts at noon. For tickets, visit www.lmu.edu/beerfest. 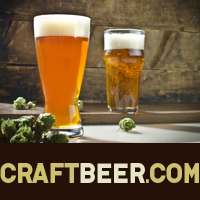 The post LMU BeerFest Draws Breweries from Across California appeared first on CraftBeer.com.